Recognized as one of the largest demolition contractors in the world, the DH Griffin Companies provide contract demolition, environmental and site development services to public and private sectors. DH Griffin was chosen as the lead demolition consultant at Ground Zero – World Trade Center following the 9-11 terrorist attack in 2001. 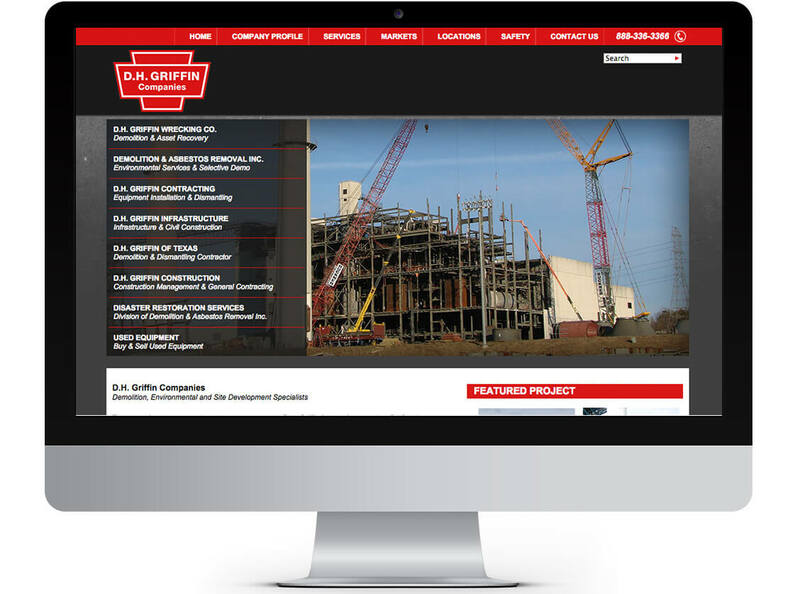 Beacon provided a full redesign of the website under Cascade Server CMS, which included an overhaul of the navigation structure to support significantly more content and imagery. The “Used Equipment” section was converted to .NET, which allows DH to resell old equipment salvaged from their demolition jobs. Website visitors can add products to their cart much like a typical shopping cart, but the cart is submitted as a request for quote to DHG administrators. Graphic design, Project Management, Front-end web development, back-end (transaction) development, content entry, digital marketing (SEO) consultation and technical/hosting support. Digital marketing services include organic optimization (SEO) over the long-term partnership (especially during the recent redesign), Google Analytics setup, configuration and reporting for improved sales lead conversions and Paid Search advertising (PPC) for multiple divisions within the company.